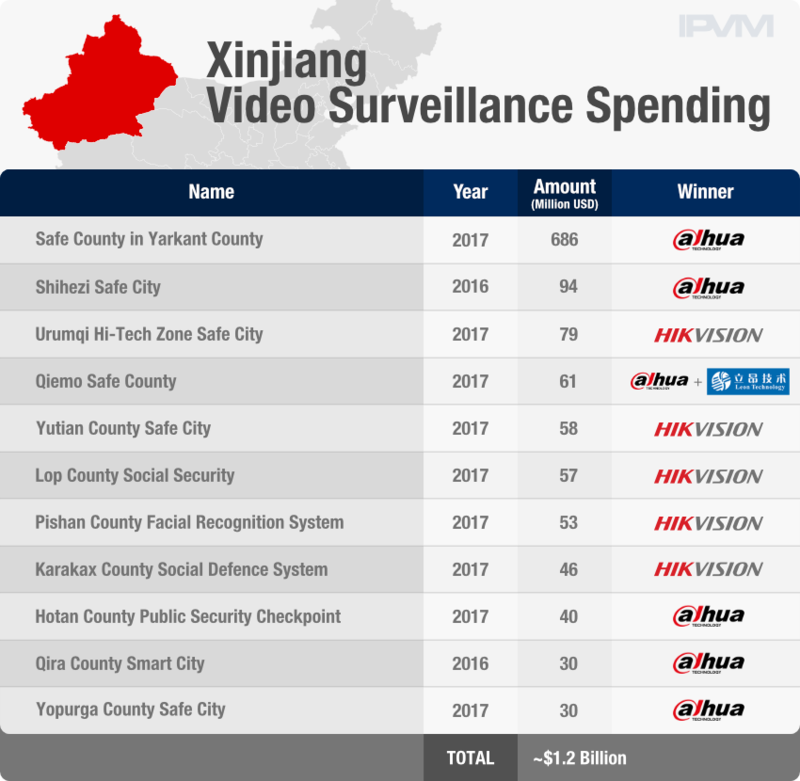 Dahua and Hikvision have won well over $1 billion worth of government-backed surveillance projects in China’s restive Xinjiang province since 2016, IPVM has verified from Chinese sources. Xinjiang has become an international controversy over human rights abuses, e.g., the WSJ's investigation into China' 'total surveillance state' followed by the Chinese government attacking those reports. Inside this note, we examine the projects and the impact this is having for Dahua and Hikvision. Using data from bidding websites, the companies’ own disclosures, and Chinese trade publications, IPVM found 11 Hikvision and Dahua PPP (Public-Private Partnership) projects in Xinjiang worth a total of 7+ billion yuan / over $1 billion USD. The total amount of projects for Dahua and Hikvision are minimally this but could be more depending on what other projects are either not publicly disclosed or we did not find. The huge expenditures are unsurprising given the Chinese government’s unprecedented levels of security spending in Xinjiang Province, home to the Muslim minority Uighur population. According to the Financial Times, total public security spending almost doubled in Xinjiang in 2017 to nearly $10 billion. Much of that money is going into “Safe City” or “Safe County” projects. 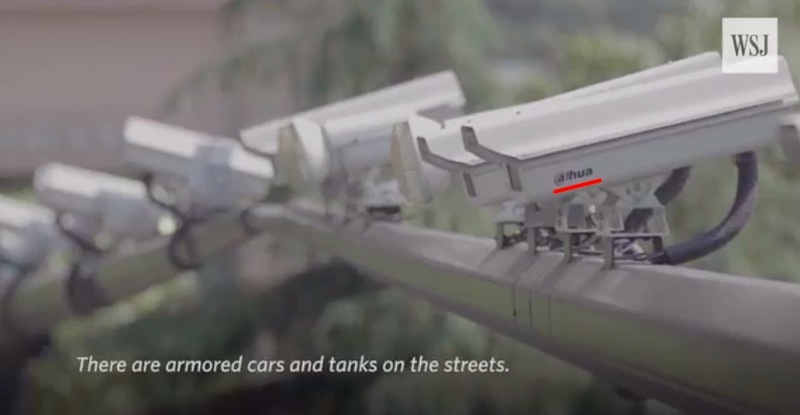 Dahua appears to be leading the way in this regard: in July 2017 it won the contract for a single 10-year “Safe County” project worth over 4.3 billion yuan or $685m in Xinjiang’s Yarkant County, the site of violent riots that caused at least 100 deaths in 2014. In the West, even $10 million video surveillance contracts are uncommon and the sheer number and size of these projects in Xinjiang are beyond any parallel with Western deployments and companies. As a rough sense of scale, Axis 2017 global revenue was about the same as these contracts for a Chinese province with ~20 million people. Dahua and Hikvision continue to grow rapidly, at ~30% annual growth from an already massive size (compared to Western standards). Projects like these are key components of achieving that growth. For example, we estimate Dahua USA's branded sales to be in $10 - $30 million range for 2017, compared to the hundreds of millions in contracts just in Xinjiang. Moreover, while Western professionals see these companies most commonly selling low-cost cameras for sale at distribution, these projects show that, inside China, the companies are far different, acting as mega-scale direct government contractors. Bloomberg reported that Xinjiang is China's "surveillance laboratory" and is developing a facial recognition system that detects when certain Xinjiang residents move 1,000 feet beyond designated safe areas. According to the Wall Street Journal, knives sold in the province must be etched with tracking numbers identifying the buyer. While the implementation of these surveillance tactics generates significant revenue for manufacturers like Dahua and Hikvision, it also raises concerns about the ethics and the appropriateness of participating in such practices. The WSJ is reporting that 17 Congresspeople have signed a letter urging sanctions against Dahua and Hikvision for profiting off these human rights abuses.